I'm not sure how many of you know this, but N is 6 years older than me. And that means that while *I've* just hit the big 3-0, he is approaching the next big milestone! And because our friends are closer to his age than mine, something I've been thinking about a bit lately are things I'd like to do before I've turned 40. Our before N turns 40, more likely. I did create a list before of things I wanted to do before 30, but I don't think I left myself enough time to do everything I wanted to do from that list. N turns 40 in 3 years, so that gives me much more wiggle room. Here are the first three things on my list, expect to see more posts as I add more! I don't even remember the first time I heard about Cirque du Soleil, but I must have been fairly young because it seems as though I've always known about them and have always wanted to see a performance. With a mixture of music, circus skills and street entertainment, I just feel like seeing the Cirque du Soleil would be really beautiful and interesting! I don't even remember how many years that I've been saying that I wanted to see The Lion King in the West End. It's been many years. I remember when I was younger my best friend at the time and I watched The Lion King every single day for an entire summer. Her family ended up with two cats that we named Simba and Nala. We'd burst into song randomly ... and every time I think of The Lion King, I think of that magical and innocent summer when everything was uncomplicated and fun. And I'd like to experience the magic of The Lion King again, in the theatre and see how that compares! What would be on your list of things to do before you reach a certain age? I went to the Globe a couple of years ago to see Romeo and Juliet. I'm not a massive fan of Shakespeare but it really brought to life the play when you see it at the Globe. Really lovely experience, if a little chilly. 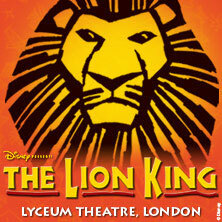 The Lion King is fantastic, my family went for my 21st birthday last October - and I've been to the Globe but not to see a play, that would be really cool! I've been talking for years about going to see The Lion King. I'm really hoping that it will happen this year. I love Cirque Du Soleil. I've seen 5 of their shows. I accomplish your list soon! Wow, 5? I'm so jealous! Such a great list! 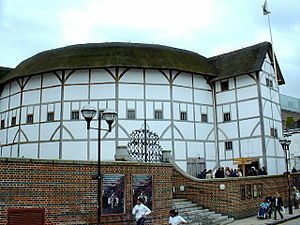 I'd also love to go to The Globe because I bet the atmosphere is amazing. I saw The Lion King when I was younger and can remember how good it was- you should definitely do it! Yeah, I think the atmosphere in the Globe really WOULD be amazing! I'd love to see something at the Globe as well. Every year I say I'll go during the summer season but somehow never have. I think I will have to try to go as well! I would love to see Cirque du Soleil too. Hoping to in Florida later this year. Visiting Paris makes my list too! I wanna go. Your trip to Florida already sounds awesome, but possibly seeing Cirque du Soleil AS WELL? I'm totally jealous. That sounds really cool! I think just attending a lantern festival would be pretty awesome..